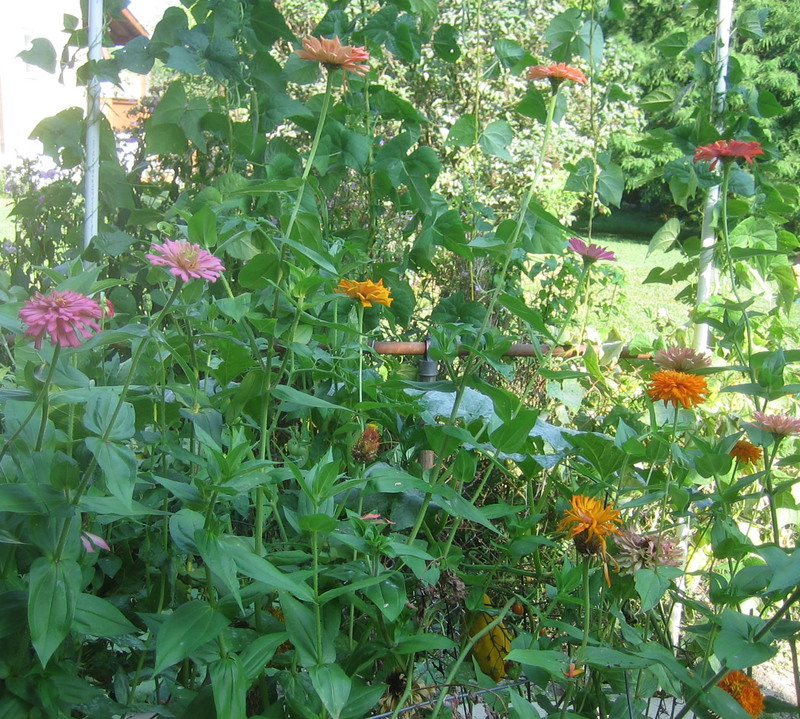 I’m leaping from my bedroom – where I mostly look for clothes to give away – to the garden. (Well, not actually “leaping.” I took the stairs.) With the end of the gardening season I was motivated to clean out the small closet in which I kept garden supplies. During Round 1 I had gotten rid of toxic garden chemicals, broken tools, obsolete light bulbs, and work gloves with holes in them. Still, Jim complained that some of my home-made deer repellent was smelling up the closet and it was hard to find space for the broom and mop. So, I started to dig in and see what was left that could be discarded. The process of taking everything out of the closet and only putting back what I really wanted/needed proved to be cathartic and satisfying. I didn’t end up getting rid of many items but I did have a surprise – SEEDS. Seeds: I found 52 seed packets; some dating back to 1989 (24 years ago!) Some were empty. I probably just saved them for the directions. But plenty still had seeds in them. In my foolish frugal days I may have thought I’d save seeds for the next year to see if they would still grow – and promptly forgot about them the next year. Apparently, I’m a slow learner since I must have repeated this a number of years. At least now I feel very safe in throwing them all away. 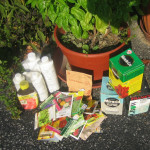 Plant Food: I also found some plant food and dust for roses (I haven’t had any serious roses for about 5 years). I’ll offer this to my neighbors who have roses. 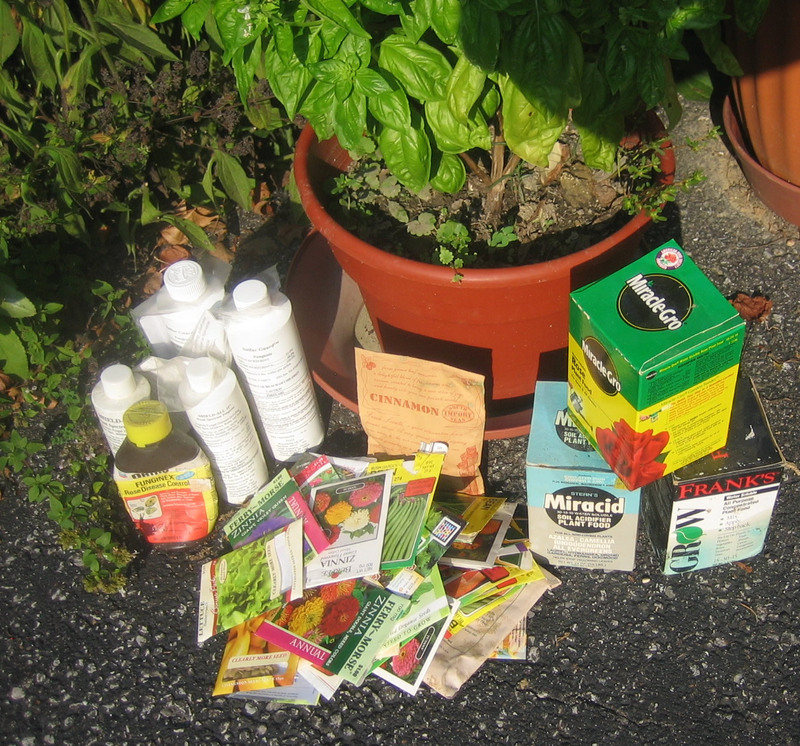 I also had Miracid which I used to acidify the soil for the blueberries I transplanted from Michigan about 30 years ago. The blueberries lasted about 5 years. Apparently they need more than acid soil. The Home Orchard Spray will go the way of our dying apple tree. Deer Repellent: I decided to save most of the deer-repellent since it’s hard to make but I made sure the containers were more secure. Fungicides: I also found 5 bottles of different kinds of fungicide. I will dispose (responsibly of course) of 4 of these once I find out from my local county extension service if any of these will help me fix a soil fungus problem I suspect I have from squash borers or some other disease that’s been crinkling up my squash and tomato plants. Ahhh, sometimes it’s hard to be kind to Mother Nature. 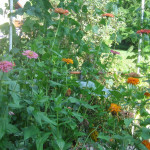 Gardening and growing some of your own food certainly sounds uplifting, healthy, and virtuous. BUT, it also comes with moral dilemmas like whether or how much to use chemicals? What to do with leftover produce, or worse, leftover insecticides? How do you deal with critters like squirrels, deer, woodchucks, rabbits, etc.? Share your successes and challenges. Where are the places in your home that may be hiding long forgotten supplies that you don’t need anymore. I’m curious.